I added a few layers of patterned paper and machine stitched them together. 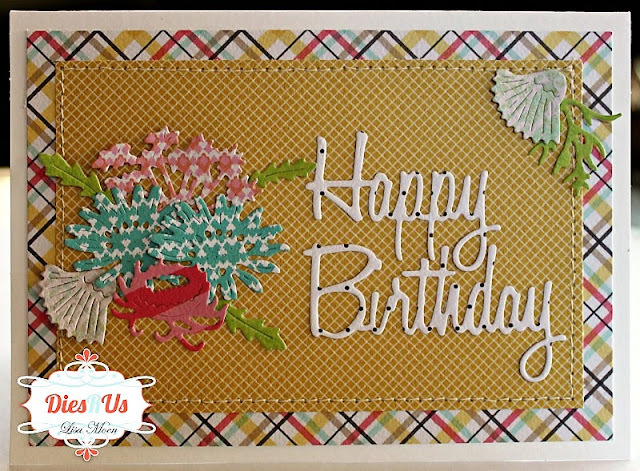 I used more patterned papers from the 6x6 paper pad to cut the wildflowers (Frantic Stamper Wildflower Die) and the sentiment (Happy Birthday). What a beautiful creation Lisa! Such a happy card, love the colours you used! I love the bright colors of this.